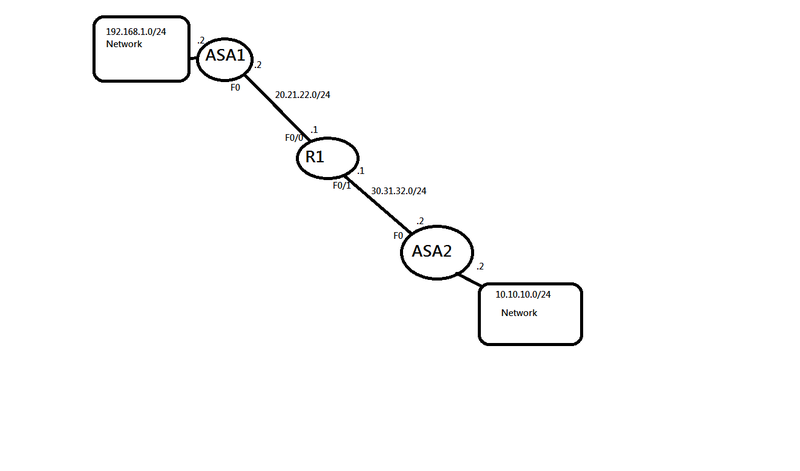 I'm trying to set up a site to site tunnel between two ASA's, one version 8.4 and the other 8.2. I've attached the configs. If someone can tell me what I'm doing wrong I'd appreciate it! Attached is the lab drawing I threw together. It is basically just a router (Internet) in between two ASA's. ... and try again. For further support, make sure that you enable "deb cry isakmp" and "deb cry ipsec", and post the output here after generating traffic that should go into the vpn-tunnel. Great, thanks a lot Kvistofta. That was the problem! That is something I've read before, but knowing about something and knowing how to use it are two different things.